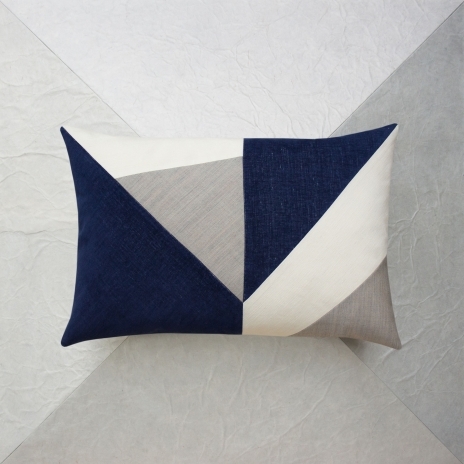 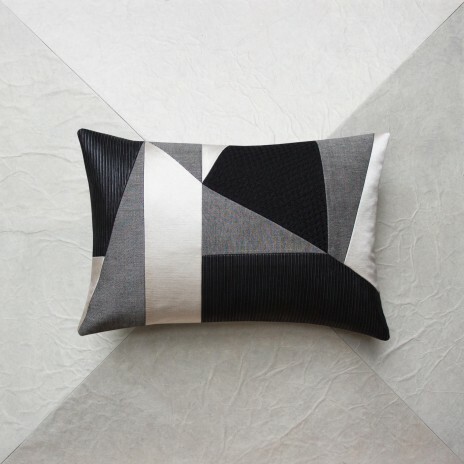 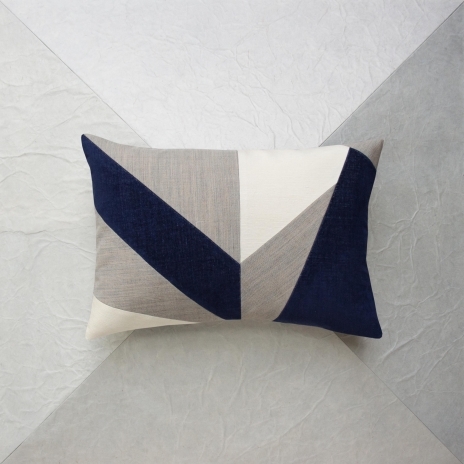 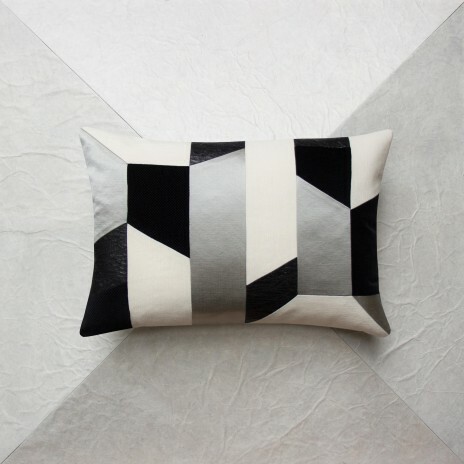 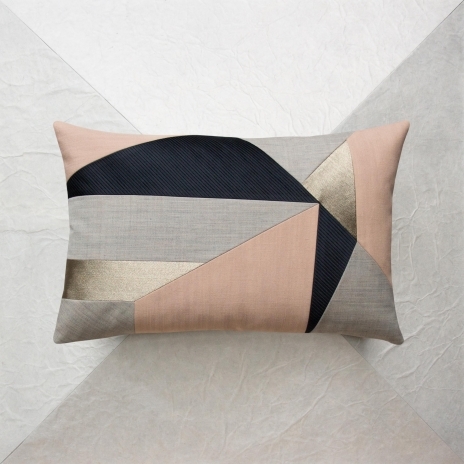 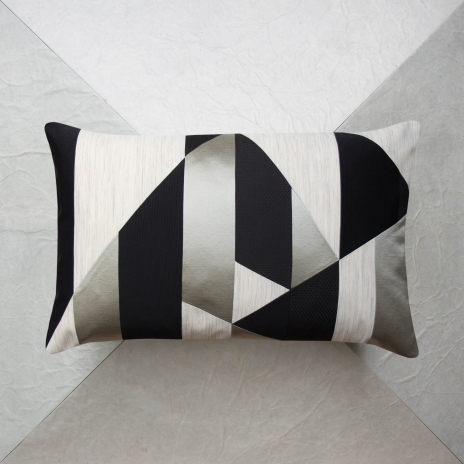 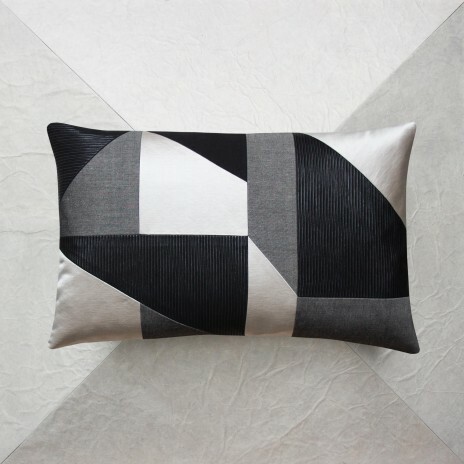 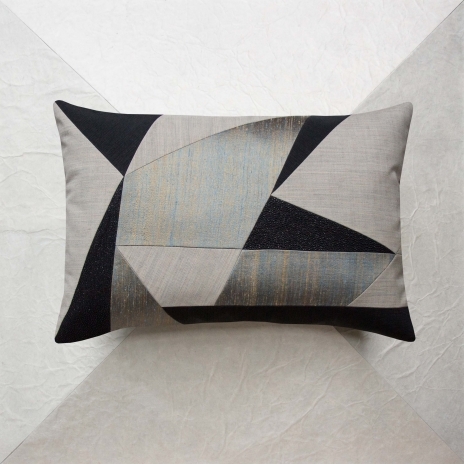 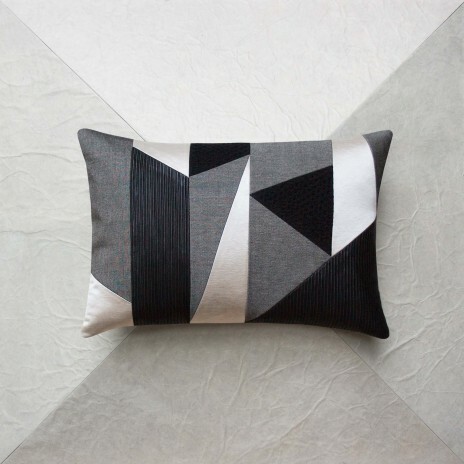 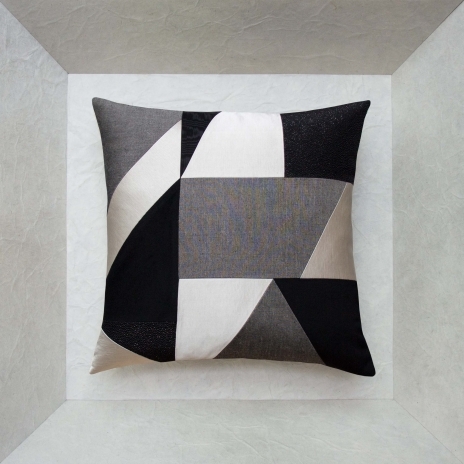 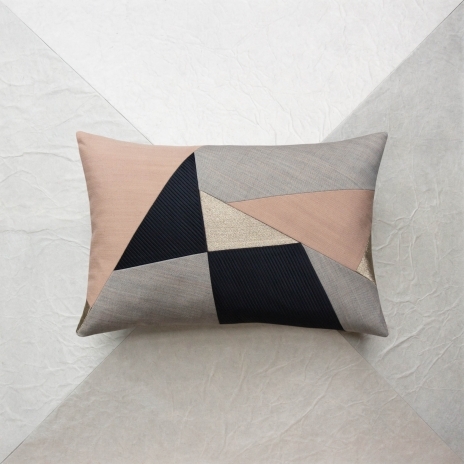 The intuitive artistic approach that was used to design these exceptionally elegant, refined pieces is renewed in each cushion to create random, infinite series. 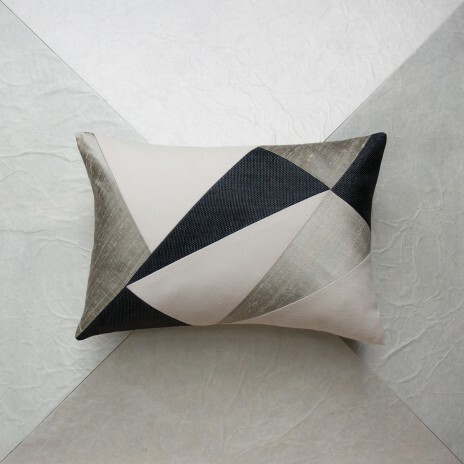 Their original haute couture style based on an unpredictable geometric pattern, gives them a pictorial look that enhances an interior with a modern touch. 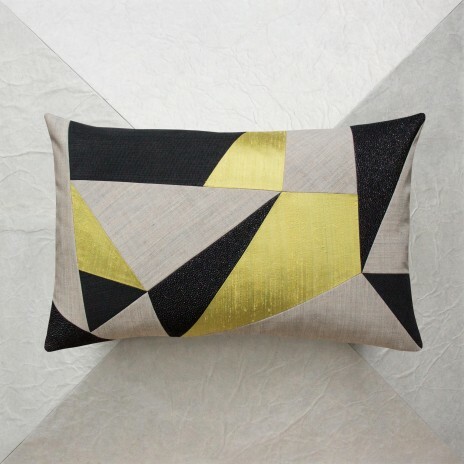 Their refined look comes from a harmonious combination of materials, colors and modern or vintage fabrics.